Heard Sri Ashok Khare, learned Senior Counsel assisted by Sri Siddharth Khare, for the petitioners, Sri Y.S. Bohra, learned counsel for the respondent no.6, Sri R.B. Pradhan, learned counsel for the respondent no.7, Sri A.K. Yadav, learned standing counsel for the respondents no. 1 to 5 and Sri Vikram Bahadur Singh, learned counsel for the respondent no.8. The petitioners are seeking quashing of the order 16.04.2014 whereby the benefit of new pension scheme has been denied to them. 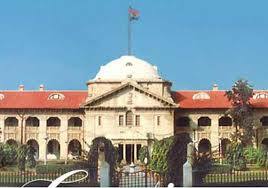 The contention of the petitioners is that on completion of their B.T.C. Training they were appointed on different dates in the month of December, 2005 and also drawing their stipend. Therefore, they are entitled to the benefit of pension. Issue notice to the respondents no.9 & 10 returnable within six weeks. The petitioners will take steps for service on the respondents no. 9 & 10 within three days. All the respondents may file counter affidavit within six weeks. It is provided that the respondents shall make necessary deductions from the salary of the petitioners towards the G.P.F. fund which shall be subject to the final out come of the writ petition. NPS में रकम निकासी पर भी मिलेगी टैक्स छूट!